Apple’s second generation Watch is all set to make its debut on September 16th. We take a look at what’s new and worth noting about the Apple Watch Series 2 compared to its predecessor. The original Apple Watch was splash-proof. The Apple Watch Series 2 is more than just splash proof, its waterproof – up to a distance of 50 meters. Apple has redesigned the speaker in such a way that it will keep the water from getting inside the device, up to a point. This will make the Watch handy to use when you go for a swim. But you’ll do well to take it off if you intend to go scuba diving! The Apple Watch Series 2 has a built-in GPS. This makes it great to use when you’re hiking or doing some extended running workouts. You can also integrate the Apple Watch with third party apps like ViewRanger to map your routes and record and track your workout activities. The Watch Series 2 has a dual-core processor making it faster than its predecessor. It also makes the display twice as bright. The Apple Watch Series 2 comes in stainless steel and the aluminum models but there’s also a special edition watch that can make heads turn. Its made of glossy white ceramic that looks like something someone carved out of a unicorn horn. Another impressive fact is that the ceramic that is used is said to be 4 times harder than stainless steel. This special edition watch is made to sound exotic. naturally that’s means an exotic price as well – $1249 for the 38mm version to be exact. 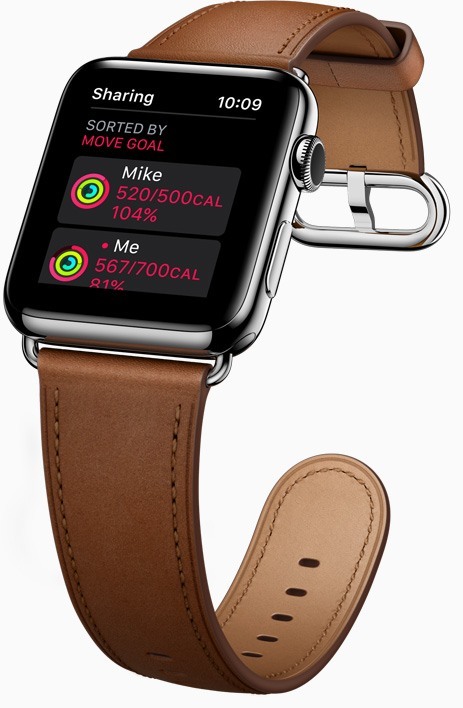 The Ceramic edition will replace last year’s exorbitant gold watches so if you’ve got a ton of cash to spare, you can go for the Hermes collection with leather straps that will cost you something over $1100 or a Apple Watch Nike+ to wear on your workouts. The Nike+ model won’t just record your activity, it will also provide motivational notifications for you to stay fit. Purchasing a Nike+ will also get you a membership to the Nike+ Run Club. You’ll also get personalized coaching sessions, gear recommendations, and a chance to catch up on live runs held anywhere in the world. Watch OS 3 which is due to launch on September 3rd will be the operating system in all Apple Watch Series 2 models. The OS is said to make apps launch 7 times faster. Users will also be able to share Activity circles with friends and do deep-breathing exercises with the new Breathe app. The Messages feature also sees improvements making it possible to scribble and send animated stickers to others. The Apple Watch Series 2 is available for pre-order today and will start shipping on September 16th. 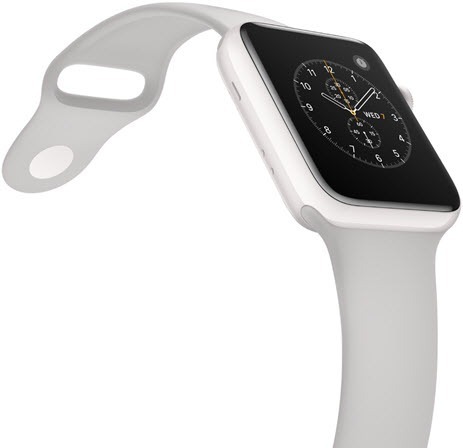 Interested buyers can also head to the Apple Store to check out the watch on the 16th. The Watch Series 2 is available in gold, rose gold, silver and space gray aluminum at prices starting at $369. 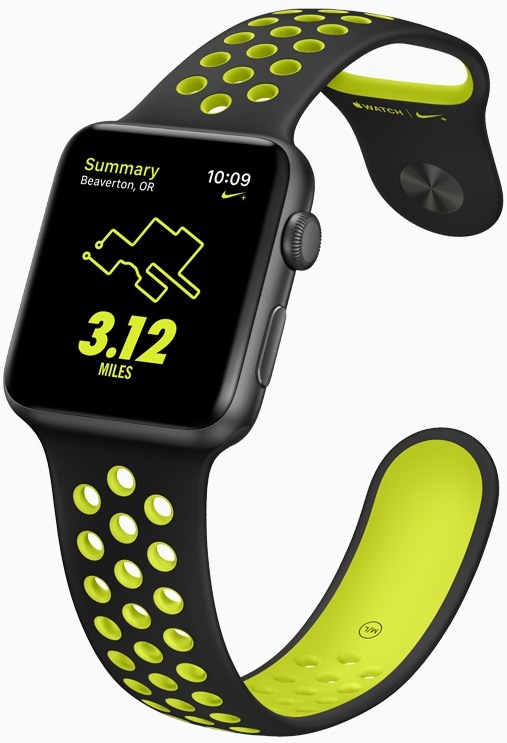 Apple Watch Nike+ comes in four colors and will be available in late October, at prices starting $369. The Hermès collection will be available on Sept. 23 at prices starting $1149.